The National Guard occupied Wilmington for 9 months in 1968. The city was never the same. 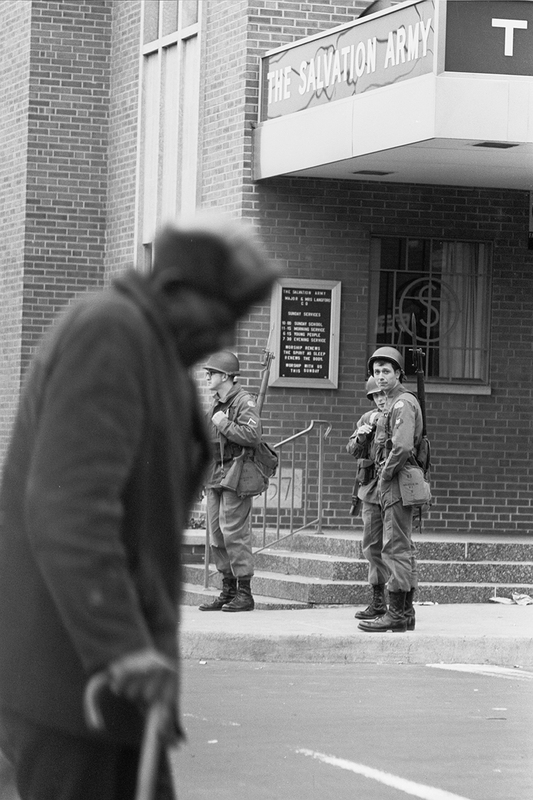 The National Guard occupied Wilmington for nine months in 1968. The city was never the same. WILMINGTON -- Four days after Jea Street learned of the Rev. Dr. Martin Luther King Jr.’s assassination in April 1968, the 15-year-old stormed the streets of Wilmington. He joined hordes of other black youths in what started as a peaceful march to Rodney Square in the heart of Delaware’s biggest city. Then, at Fourth and Market Streets, someone threw a brick through a storefront. Soon after, “all hell broke loose,” Street recalled. Residents burned and looted businesses in frustration, anger, and grief. Historical images taken during the National Guard's occupation of Wilmington in 1968 in the wake of Martin Luther King's assassination. The gravity of the situation didn’t sink in until the following days. Everywhere he looked, Street saw gun-toting National Guardsmen. 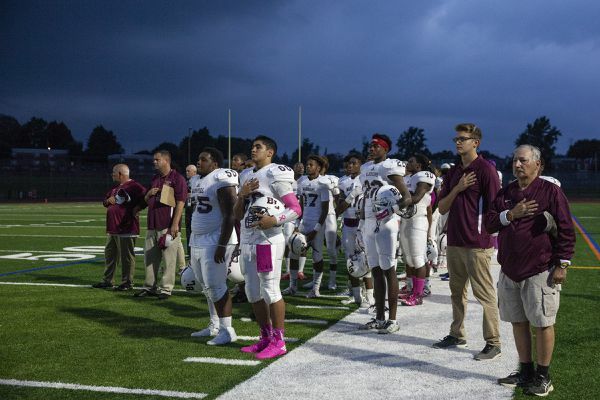 For nearly a year, armed guards patrolled West Center City, a mostly black community commonly known as “The Valley,” heightening racial tensions in what would become the longest occupation of an American city since King's death, and the second longest since the Civil War. In the weeks after the riot, Street vividly recalls high school hallways filled with blood from white teachers and youths being beaten up and the county police storming in in riot gear. That memory “never goes away,” he said. Fifty years have since passed. And to many, Wilmington has yet to fully recover. Crime and violence pervade the mostly black city with just over 71,000 residents, where youths were more likely to be shot than in any other American city, by some 2017 measures. Wilmington has spent much of the last year acknowledging that grim chapter in its history, through the yearlong communitywide Wilmington 1968 project. Some hope the effort leads to change that improves the city and benefits its residents. About a year ago, Wilmington Mayor Mike Purzycki deemed West Center City the pilot location for the city’s neighborhood stabilization program, striving, once again, to change the landscape by placing extra city resources there, such as police officers, inspectors, and city sanitation employees. Many of the issues that were protested in 1968 are still bubbling today — fair and just housing, equal education, police brutality, jobs, and opportunities for class mobility. For many, the occupation was a catalyst to engage in social activism. Jea Street, 65, remembers the moment a peaceful demonstration turned into a full-fledged uprising. Clint Perkins, 70, marched with a raised fist moments before riots broke out. Chuck Durante, 67, only knew of the riots through limited media reports. Days after King’s April 4 assassination, African Americans across the country were swept up in anger. Many felt that his death was symbolic and that they had nothing to lose. Riots broke out in more than 100 cities. It would take decades for many of these cities to recover both physically and socioeconomically, if at all. In Wilmington, mostly young men took to Market Street, considered the heart of the city, on April 8, 1968. They planned a peaceful march down the bustling hub of retail shops and theaters -- a stretch that even drew shoppers from Pennsylvania and New Jersey. Clint Perkins, 19 and two months shy of graduation from Howard High School, made strides with his fist raised down the middle of Market Street at the forefront of the group headed to Rodney Square for a memorial in King’s honor. A snapshot of Perkins in that moment later became one of the few and most circulated photos of the peaceful march. In 1968, Clinton Perkins marched alongside dozens of other young, black high school students for a peaceful march in the wake of Martin Luther King Jr's assassination. He is seen in one of the most widely-circulated photographs of the march. Hours later the scene had turned chaotic -- with Perkins in the midst of it all. Shattered glass littered the streets; thick, black smoke was heavy in the air; and gunshots rang out sporadically. Stores and homes were engulfed in flames. Police cars were firebombed. Streets were strewn with mounds of garbage and debris from looting. People ran, screaming all the way. Media reports at the time said that by midnight on April 9, more than 50 people were arrested in Wilmington, at least a dozen others were injured, 13 fires were reported, and 19 businesses were looted. The next morning, in an attempt to “restore order,” Gov. Charles Terry activated the entire 3,800-man Army and Air National Guard for deployment throughout the state, with many assigned to downtown Wilmington. 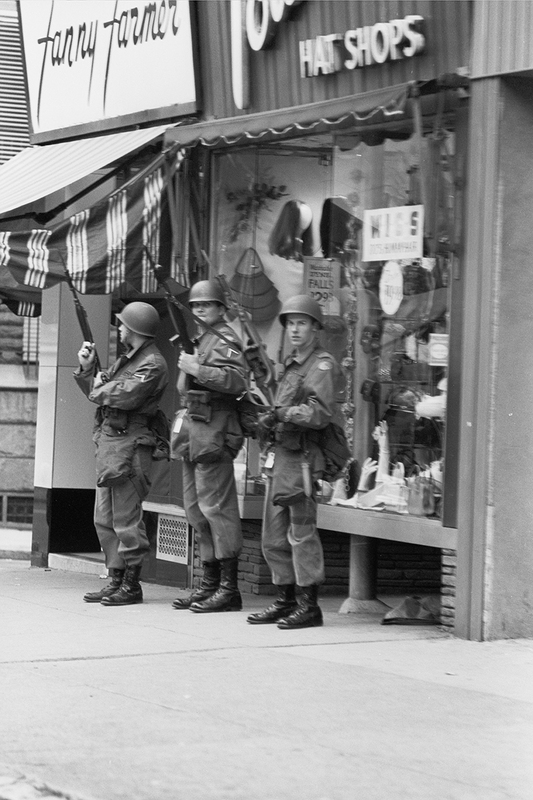 The guardsmen would remain in the city until Jan. 21, 1969 – the longest tenure of any such guard detail nationwide – until being removed hours after newly elected Gov. Russell Peterson took the oath of office. 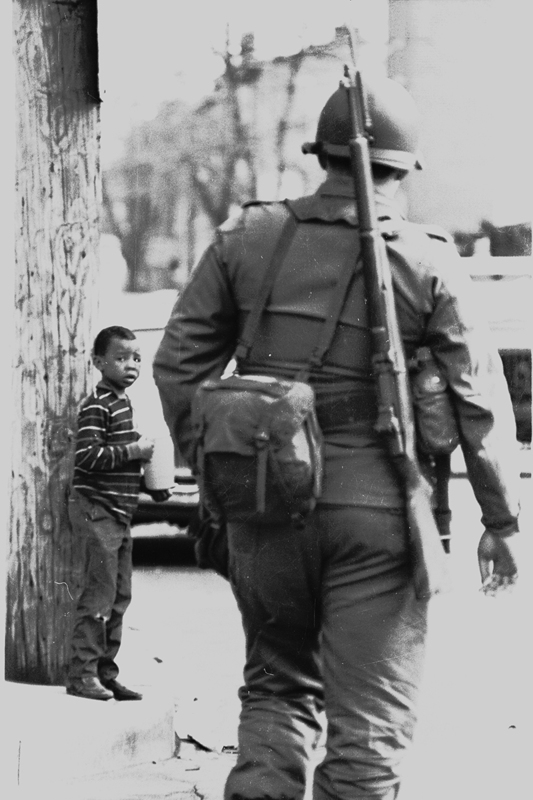 Historical photographs taken during the National Guard's occupation of Wilmington in 1968 in the wake of Martin Luther King's assassination. At the height of the occupation, 1,300 guardsmen were on patrol in Wilmington. They first patrolled with city police, but those officers were later removed by the mayor. Day in and day out, locals watched jeeps creep by carrying mostly white soldiers in combat gear and battle helmets, holding rifles with bayonets strapped to their sides. For black residents such as Perkins, the memories are engraved. “I just knew that we had a long ways to go before we were equal, which made me get involved with civil rights and just pay a little more attention to [black] people, what we were going through,” he said. Residents who worked adjusted their schedules to be home by the state-mandated curfew, or sought special permissions to be out after curfew. Black parents warned their kids to avoid trouble as they navigated each day. Neighborhood youths curbed after-school activities to be home on time. Some black residents felt put under surveillance. Many white shoppers, commuters, and workers relied on limited local news reports that told riot stories and led them to fear visiting Wilmington. “The streets that I was familiar with looked very unfamiliar and very unwelcoming,” said Patricia Wilson Aden, a longtime Delaware resident who was 9 at the time and now serves as president and CEO of the African American Museum in Philadelphia. “And while the riot itself was relatively small, it still lives large in the memories of older Wilmingtonians,” she said. Ron Whittington, 69, says he was almost arrested when he visited Wilmington in 1968. Aretha Morton, 80, was working a retail job just feet away from the uprising when it broke out. Soon after the occupation began, a stack of loosely bound pages, titled Black Survival Guide or How to Survive a Police Riot, were disseminated by a local civic association. Pages of that guide appeared earlier this year at a Delaware Art Museum exhibition with the same name, as one of the many efforts to chronicle that event. Among the lessons it offered: how to put out or escape a blaze, and what foods to stock when stores close. Pages of an original copy of the "Black Survival Guide" circulated through Wilmington's black community in anticipation of the forthcoming occupation. Long before it began, the occupation had been foreshadowed, local historians say. Terry, the Democratic governor, had believed trouble was inevitable in Wilmington, so the state ordered a commission in 1967 to examine whether a riot was imminent, said Simone Austin, who studied the occupation and riots for the ongoing Wilmington 1968 project. Austin also penned the Wilmington 1968 source book. After the commission looked into housing, welfare, employment, and education, the consensus was “basically … Wilmington is ripe” for a riot, Austin said. From there, Terry led a charge for tougher legislation and “strong law-and-order in the state,” touting that the government needed to prevent what happened in other cities nationwide from happening in their backyard. A flurry of legislation was enacted that same summer, Austin said, including “very strict” laws that addressed rioting, looting, and explosive devices, like Molotov cocktails. Many of those laws are still on the books. In decades that followed, attempts were made to revive West Center City. In 1973, a neighborhood house became the first in the country to be restored as part of the national urban homesteading program that launched that year. The program allowed people to buy and renovate crumbling urban properties for $1. There were other ventures, too. But ultimately, a review found that decades of attempts at revitalization didn’t prevent the decline. Teague, the university professor, says West Center City's diminished quality of life is in plain sight. Fifty years later, Wilmington still feels the effects of its nine-month-long military occupation in 1968. Many of the homes in Wilmington's inner city are boarded up, with trash littering several streets like this one on W 4th Street near N Adams Street. Through the Wilmington 1968 project, scholars have examined historical documents and artifacts, collected stories, and held events to consider how the past event influenced the present, and what can be done to better life for Wilmingtonians. Street, now a New Castle County councilman for 15 years, has dedicated his life to public service in Wilmington. He has been a member of a multitude of local civic groups, councils, coalitions, commissions, task forces, and committees. He credits the occupation for opening his eyes to how far the city has left to go to achieve true equality. 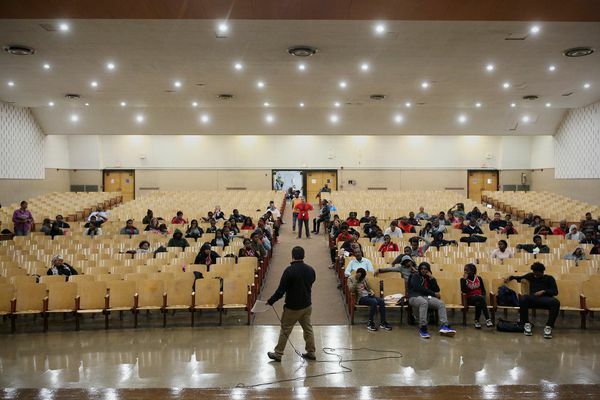 Strawberry Mansion High School is on life support. Can it be saved?